Our horses are grey Percherons. Percherons were originally bred as war horses. The knights needed a strong, stout, and most importantly, brave horse to carry them and all of their armor into battle. When they were no longer needed in battle, Percherons were used to pull stagecoaches across France, omnibuses through cities, and to plow fields. The Percheron was an ideal horse for any job because it had an easygoing disposition, its strength allowed it to pull loads several times its own weight, and its endurance allowed it to work all day. Disposition: Slow, friendly, and confident. Favorite snacks: Grain and carrots. More about Jack: Jack doesn't move very fast, but he is very brave and willing. Jack loves people, which makes him the ideal carriage horse. He thinks he is a model and loves to pose for photos. Disposition: Attentive and hard working. 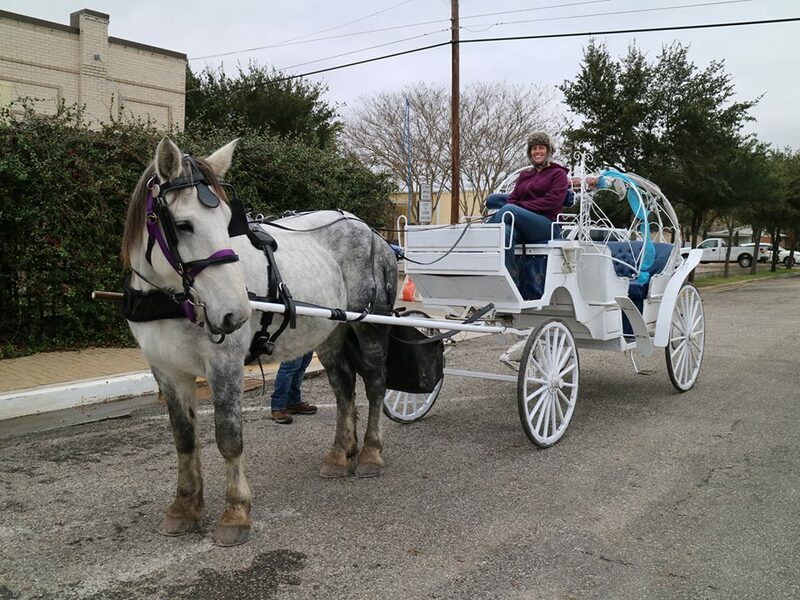 More about Angel: Angel is the newest member of the White Horse and Carriage Family. 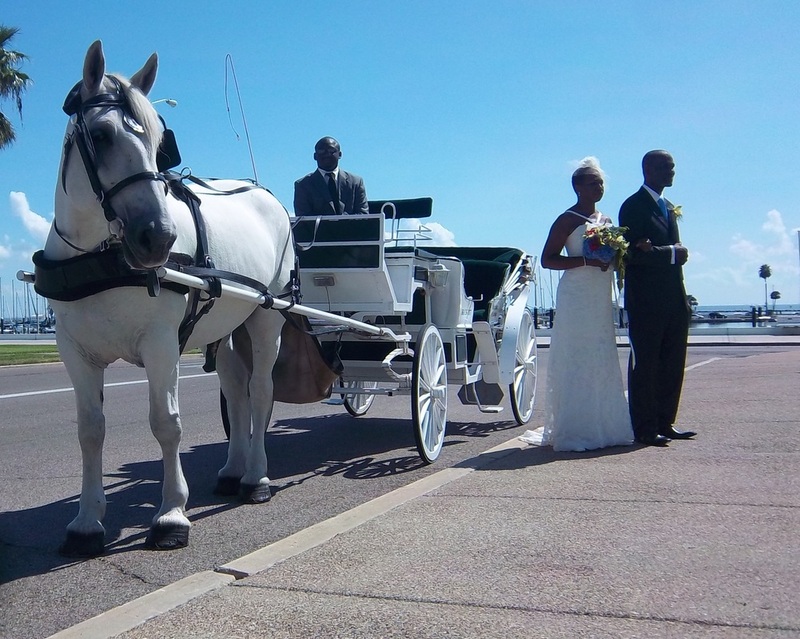 She spent the first 10 years of her life as a trail riding horse but is quickly adapting to carriage life. She is relatively small for her breed.